Born in Toronto, Karm moved to Italy when he was just a child. It was at the tender age of ten when his parents took him to a classical concert that he felt “true love at first sight.” He dreamed of becoming a pianist but eventually settled for law school. Matteo left New York when he was just a year old and spent his late teens booking techno artists for his loft parties. After Karm quit law school, the pair met while studying music production at the SAE Institute. There, they bonded over a mutual love for music and discovered their complementary talents, thus marking the origin of Tale Of Us. The aforementioned can only be crafted by soaking up inspiration in art, music, literature and cinema. These influences range from Nils Frahm, Max Richter and Ludovico Einaudi to the sheer bubbliness and truly original crossover production of ‘How Much Are They?’ by Jah Wobble, Jaki Liebezeit and Holger Czukay. Other all-time favourites include Italian jazz singer Paolo Conte, Evigt Marker & the Cinematic Orchestra. Tale Of Us' ever-changing sound has resulted in numerous invitations from some of the finest labels in the world. They made their 2011 debut on the Detroit-based label Visionquest. After that came Richie Hawtin’s M_nus imprint and the legendary Belgian label R&S. 2010 marked the birth of Life & Death and in just a few years, together with some friends from Italy, they transformed the label into an anthology of its own at an unseen pace. 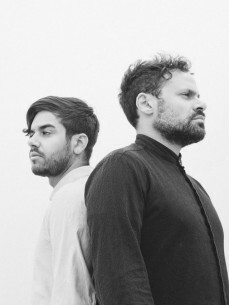 Very quickly, Tale Of Us became the driving force behind the label, attracting a myriad of talents such as Mind Against, Recondite, Steve Rachmad, Vaal and many others. The tie-in label parties at DC10 Ibiza very quickly made it into the hearts and minds of clubbers. Of their own accord, Karm and Matteo truly shook the vibrant Balearic isle to its core. Instances peak and perspective comes in good time. So incepted Afterlife: An odyssey through the realm of consciousness. Launched mid-June of 2016 at Barcelona’s outdoor Plaza Mayor de el Poble Espanyol, this date proved to be a perfect foreword to their 13-week Thursday residency at Space Ibiza. Through meticulous musical curation and a more experimental, concert-like approach, Afterlife sonically revived Ibiza. Characterised by mesmerising soundscapes and lush rhythms, both critics and club-culture as a whole went wild over lineups including Recondite, Nina Kraviz, Dixon, Ame, Mind Against, Vaal, Mano Le Tough and many more. A 10-piece compilation followed soon, launching the label. The records have orbited the same goal as the events; moving the crowd into another dimension of musical perception with enthralling production. As well as a follow up Realm Of Consciousness compilation (including tracks from Woo York, Mathew Jonson and Hunter/Game), Afterlife Recordings has released EPs from Vaal, Mind Against & Aether and Patrice Bäumel. Now, Afterlife is going global, with further events so far taking place in Amsterdam, Bucharest, London, Miami and Tulum. It was only a matter of time before Tale Of Us broke free from the mould of dance music. Enter Endless, their album released via Deutsche Grammophon in March 2017, a profound and beautiful ambient/classical LP. It liberated them to express their roots in piano composition and Eno-esque atmospherics, not what most people know Tale Of Us for, but their most complete and honest statement yet. A sign of things to come.